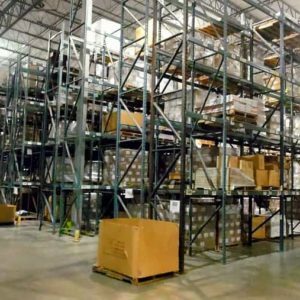 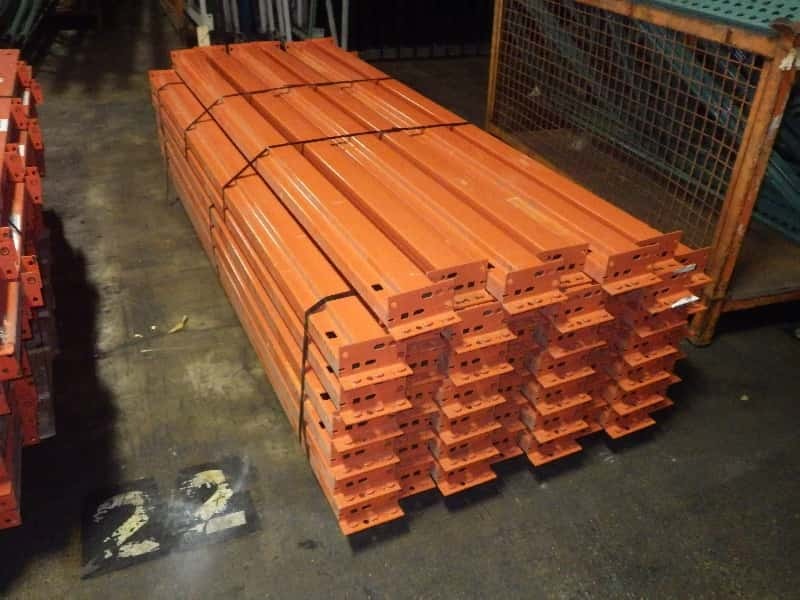 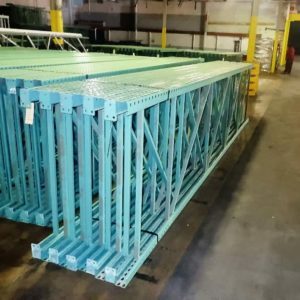 Excellent Condition Used Teardrop Pallet Rack beams – 92” x 4 1/2” Face x 1 5/8” Step-Capacity: 5890lbs +/- Per Pair. 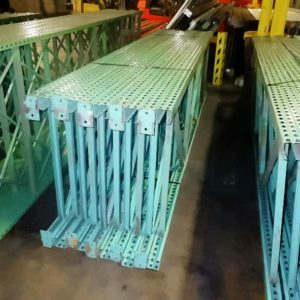 Compatible With All Teardrop Style Uprights. 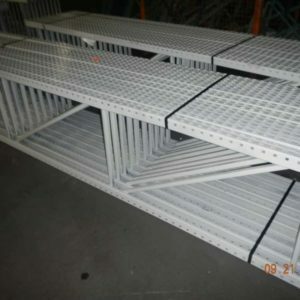 See (Product Description Below) for additional information & Feel free to Call Us Today for Additional Information.